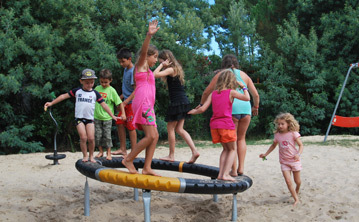 Welcome to Les Ecureuils campsite, just 300m from the best beaches on Lake Biscarrosse, near the port of Navarrosse and 7km from the ocean beaches. 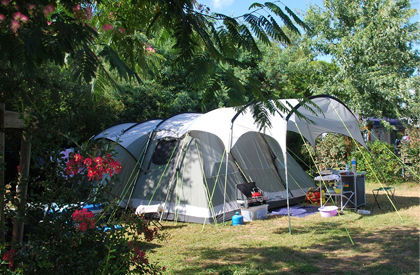 Our peaceful family campsite gives pride of place to rest and relaxation, enjoying a remarkable location mid-way between Bordeaux, which holds the prestigious title of the world’s best city to visit in 2017, and the Dune of Pilat, the highest dune in Europe. We will be happy to welcome you to a pleasant and landscaped setting where you can enjoy spacious and separated campsite pitches for your tent, caravan or camping car. Once again this year, our range of accommodation has expanded to better meet the needs of our holidaymakers, and includes the Ecolodge, a concept that has attracted a great many visitors. 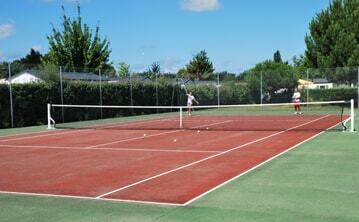 Children will love the kids’ club, the play area and the big fun paddling pool. During the day and in the evening, we organise activities and events adapted to families wanting to get away from the noisy, non-stop activities found in large complexes. You will also have direct access to cycling paths, leading you to explore our beautiful region and its beaches. 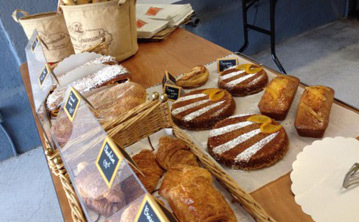 Ideally placed at our campsite entrance, you will find everything you need for a great holiday: a bar, restaurant, magazines, bread, pastries, fruits and vegetables, bike rentals, souvenirs, regional products for sale, and not forgetting our wellness salon to enjoy a pure moment of relaxation! And if you want to stay connected, we provide high-speed wifi (optical fibre) all over the campsite! It is with pleasure that we welcome ! 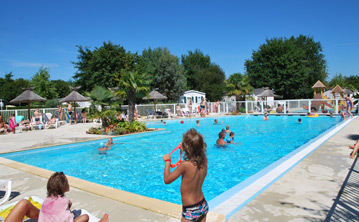 Our campsite has three separate swimming pools to delight all ages. For children aged 4 to 12, supervised by a qualified activity leader. During the day, stock up on leisure activities, and in the evening enjoy our concerts. On the campsite, we provide adapted equipment so you can share some time with your family. 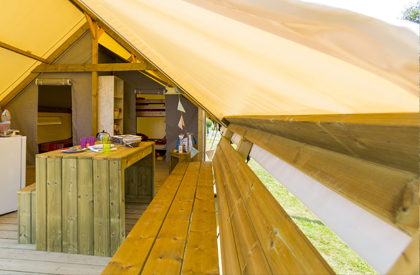 Our shops are ideally located at the campsite entrance, where you'll find everything you need during your holiday.